The Soviet-made AK-47 and the American M16, the primary assault rifles deployed during the Vietnam War, became symbols of the long conflict. During the Vietnam War, two of the most famous firearms of modern times emerged as icons of the latter half of the turbulent 20th century. The Soviet-made AK-47 and the American M16 were both developments that followed the deployment of the world’s first true assault rifle, the Sturmgewehr 44, by the German Army during World War II. 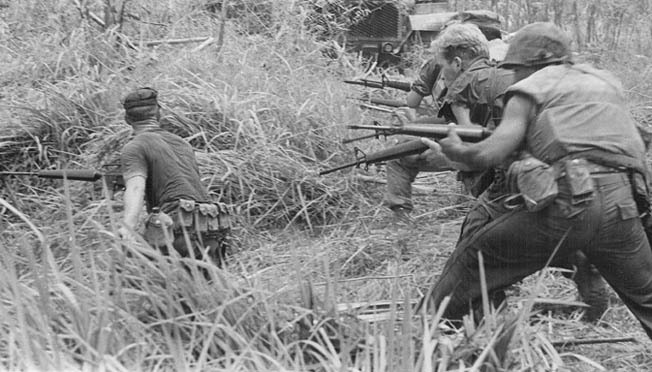 There were obvious advantages to the rifle that could be fired in automatic or semi-automatic mode without requiring the soldier to operate a bolt, and these weapons characterized modern combat with the Vietnam War serving as a proving ground. The origin of the M16 lay in the design prowess of American engineer Eugene Stoner, whose 7.62mm rotating bolt AR-10 was the forerunner of the famous Vietnam-era assault rifle. In 1956, the Armalite Division of the Fairchild Aircraft Corporation began producing the AR-10, and the weapon was immediately recognizable with its straight-line barrel and components that were made of phenolic resin. Tags AK-47, Allies, American, Cold War, Features, German, GRU, John Brown, John Browning, M16, military, NATO, North Vietnam, Red Army, Sturmgewehr, Tory, US Army, us involvement in the vietnam war, Viet Cong, Vietnam, Vietnam War, Warsaw, Warsaw Pact, weapons, World War I. Caliber for the M-16 is incorrectly reported in this article as “.556 mm”. Move the decimal over one and you get 5.56, which is correct. 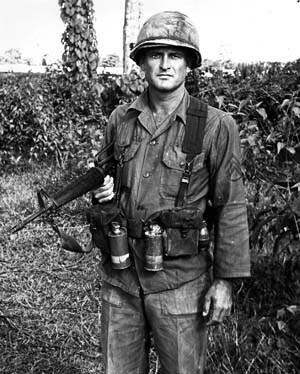 The failure of the original M16 was due to the ammunition manufacture using the wrong type of powder. Also the M16 was the first rifle to have a shelf life due to the plastic parts. Not to mention the first picture is an M16A2. 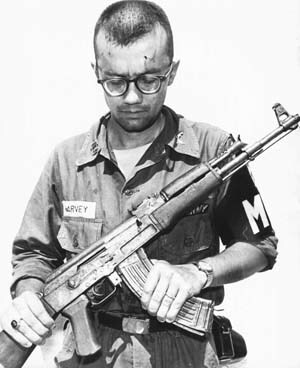 A later version of the M16 not adopted my the US military until a decade after Vietnam ended. Who ever edited this is article, well yeah…. The AK-47 you can leave it in mud for a week and still fire the weapon, but the M-16 a1 you put that in mud the gun will not fire what so ever and the monsoon season made the M-16 useless that is why after the Americans killed the enemy they would take the AK-47 off the dead Viet-Cong army or VC.